Cloth focal plane shutter (16 sec.-1/1000) electronic control. 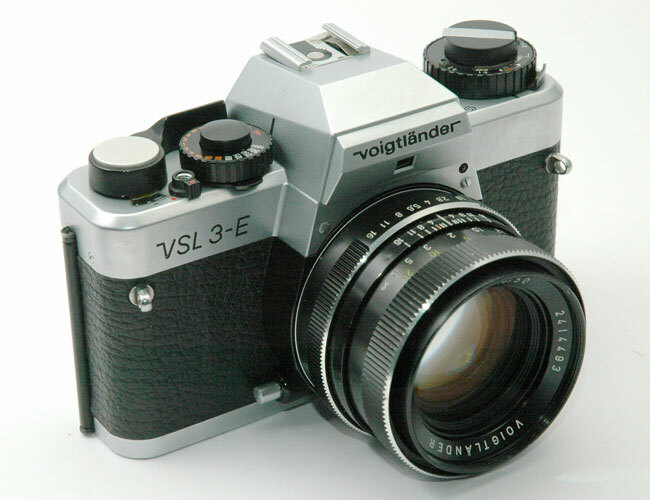 Aperture priority automatic and manual modes. Optional Autowinder E (2 im./sec). Bayonet mount Color-Ultron 1.8/50mm lens. TTL silicon meter. Shutter-speed leds visible in finder. Aperture visible in a small window. Marked "Made in Singapore" on bottom plate. 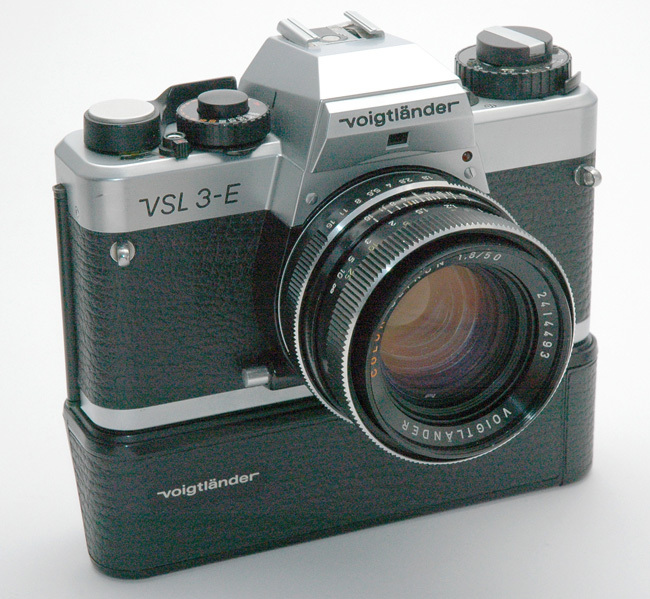 The "Autowinder E" fitted on the camera.